According to Noon's, DJTP are protesting the pit lane speed penalty as they are adamant they didn't exceed the 40 kph limit. Last edited by kittle; 4 Dec 2017 at 23:12. What could possibly be changed by winning that protest? Is it purely about vindication? 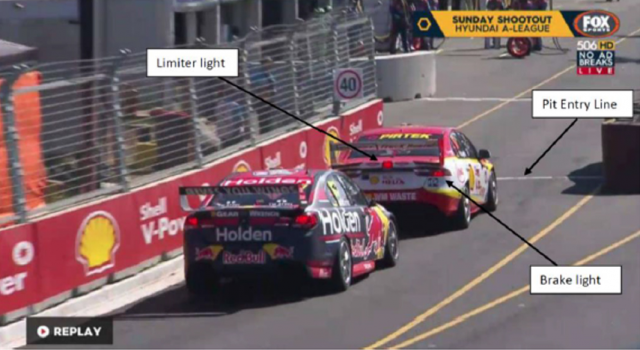 Also, has it been confirmed wether Supercars use a radar or GPS timing loop for enforcing the pit lane limit? Why to embarrass CAMS of course, and perhaps to make sure proper procedures are followed in future? It is clear and irrefutable proof there was no infringement. The celebration after the Saturday race. I can't help but feel they thought that they had done all they needed to do. Since there never was a speeding infringement, the celebration can't have contributed to it! Except they didn't get it wrong, see for yourself. Clearly the officials made an error when measuring the speed. Maybe when Pecky said 'they' he meant CAMS? we shall see, officials have their evidence, DJRTP have theirs. clearly there is some sort of mix up. 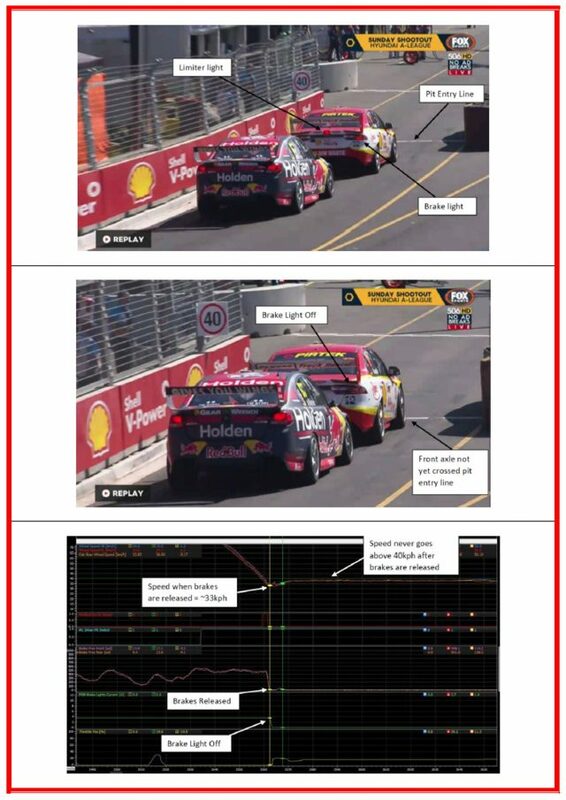 DJR Team Penske accepts that the outcome of the Championship cannot be altered, but the team feels it has a responsibility to seek clarity and to ensure the methods used to enforce pit lane speed limits going forward are as accurate as possible for all competitors. If it is a matter if such importance, why aren’t all teams invited to understand how the process works? Not protesting, as the time limit for doing that is long past. Hopefully nothing comes of this. The 2017 championship would have a huge asterisk next to it, not to mention the integrity of Supercars itself. not radar, nor GPS but they use a timing loop at pit entry. Confirmed in article from Bairdo previously linked in this thread. Are timing loops considered a good way of achieving the task?